Since 1975, providing over 5000 companies with CONTROL of their business! 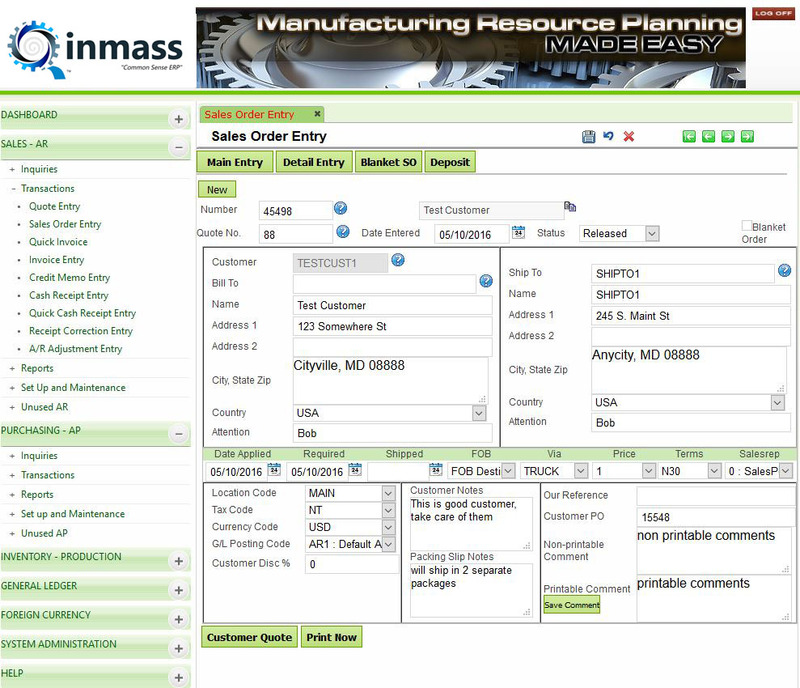 Is Inmass right for your Company? 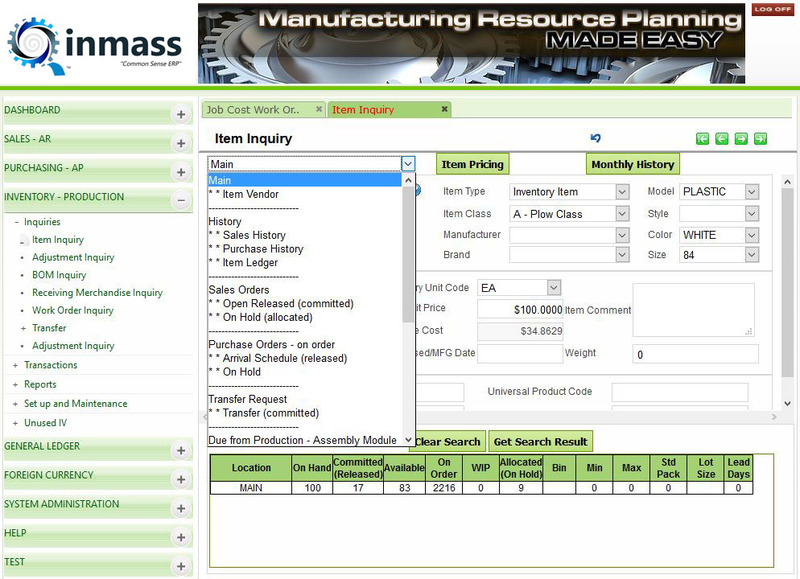 Q-Inmass best fits those companies which fall under the criteria outlined below. If you feel that our product is right for you, please contact us. Has your company outgrown the ability to grow using Quickbooks and Spreadsheets? 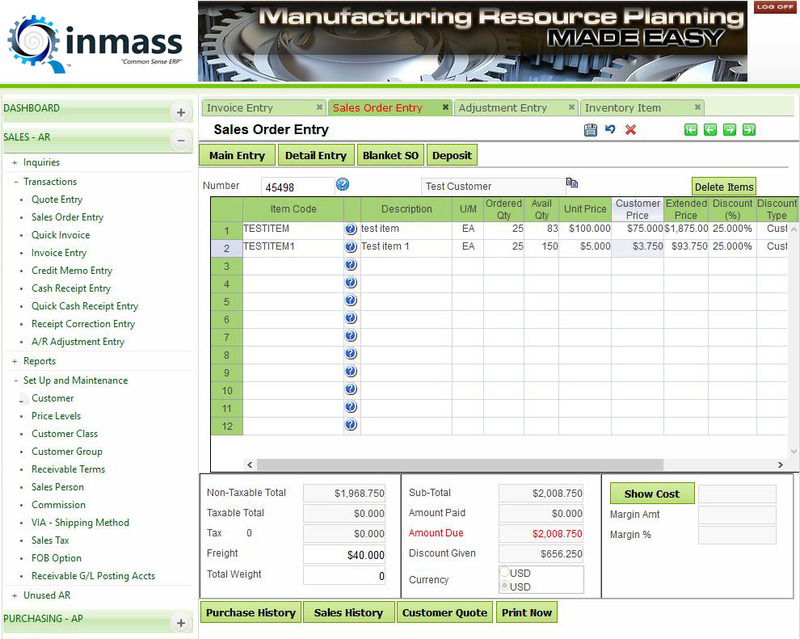 Are your company’s MRP/ERP requirements bigger than your budget? Do you need a very quick “time to value” in terms of start to a finished implementation.? Do you need a lot of users but can’t afford the “lot of users” price? 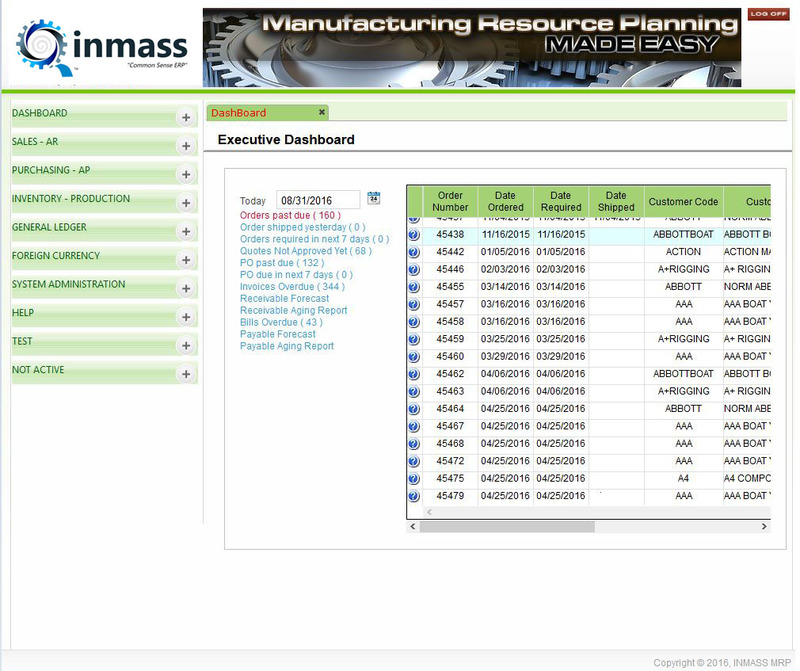 Q-INMASS is a multi-module, multi-user, integrated ERP system running on the cloud or private networks. 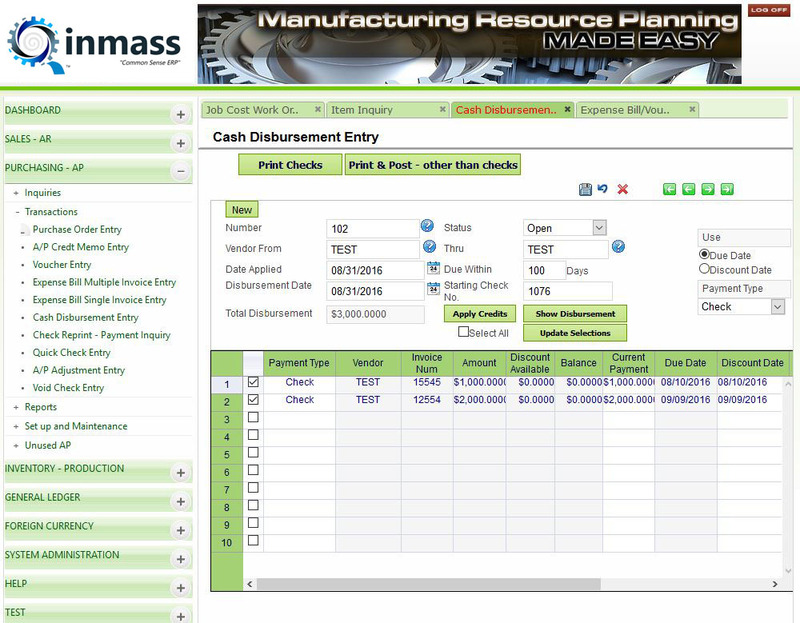 The fully integrated accounting suite consists of General Ledger, Payables, Receivables, Purchase Orders and Sales Orders. 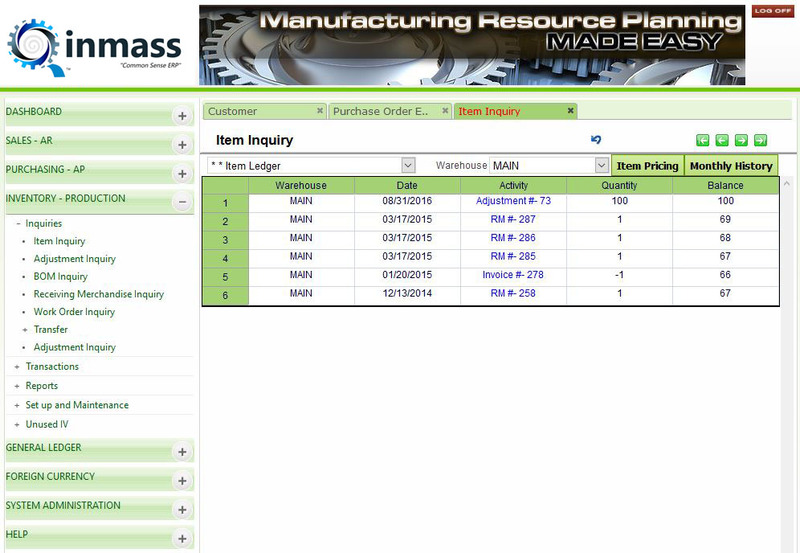 Each module can be configured according to the needs of your company. 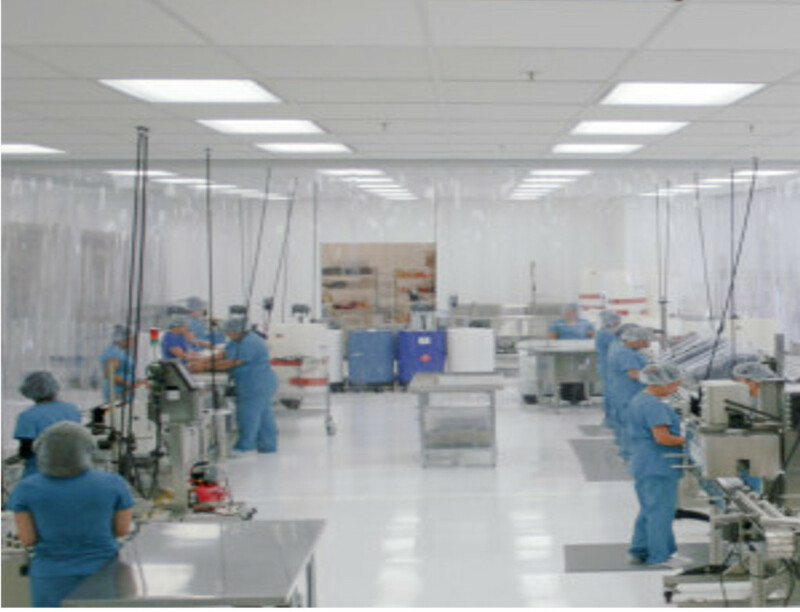 The Inventory Control provides total management of raw materials and finished goods across all warehouse locations. 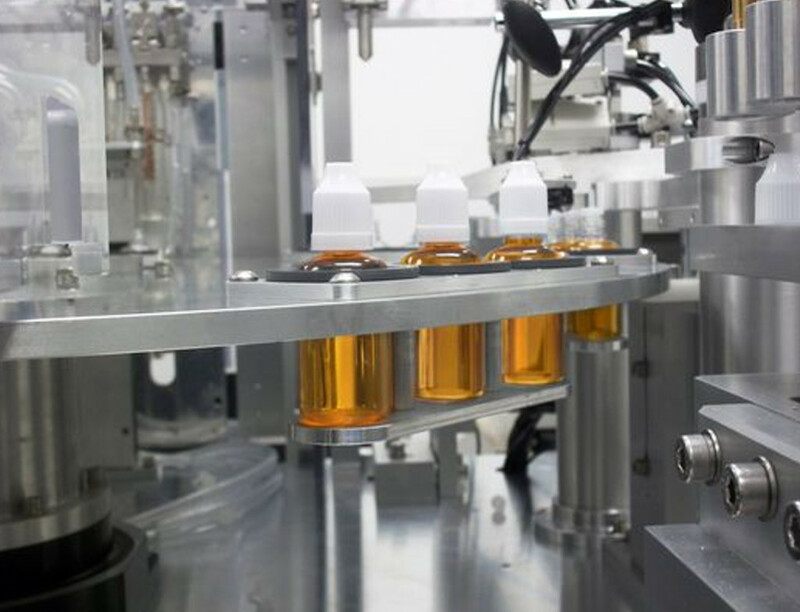 Both manufacturers and distributors can benefit from the comprehensive features which accommodate even the most challenging environments. 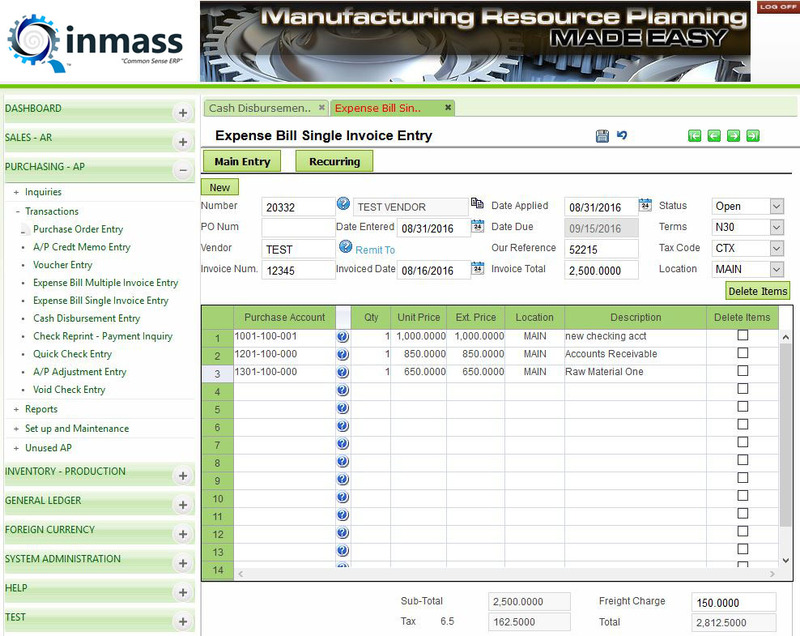 At the heart of MRP is the Bill of Materials and Q-Inmass offers a very flexible BOM for almost any manufacturing environment. When it comes to MRP…..we can honestly say that we started it all! Inmass was the first automated MRP system in the 70’s and was designed by Oliver White himself (the father of MRP). 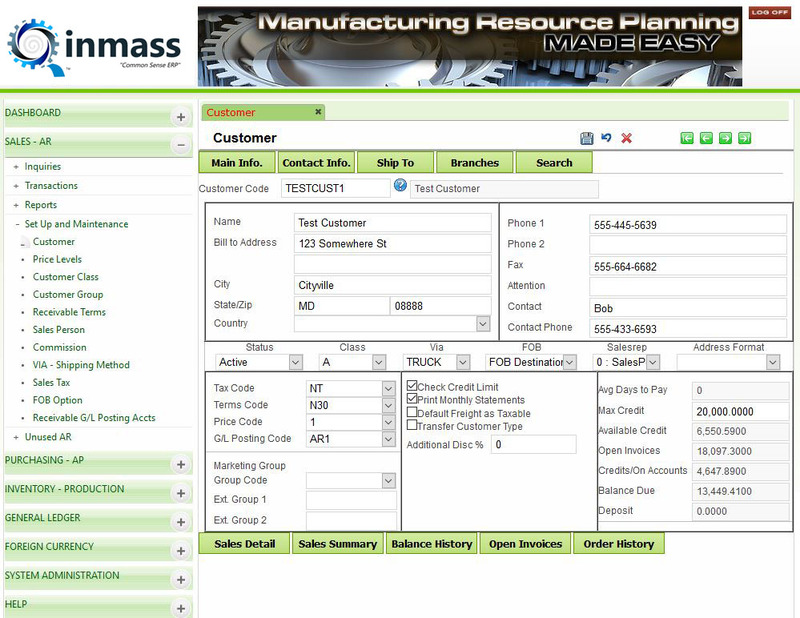 The system has a fully integrated CRM for managing all business and marketing contacts. 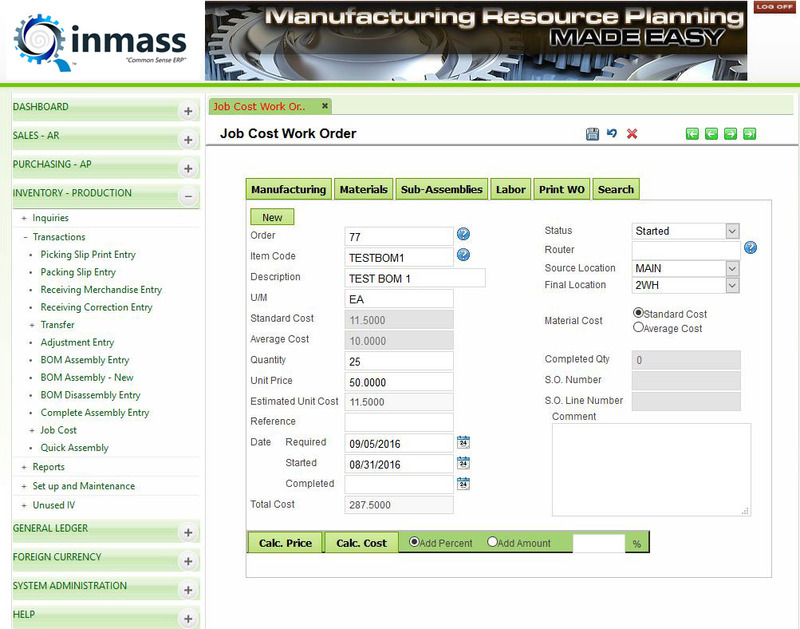 All functions are fully integrated so there is no need for third party applications. The entire data model is readily available through dash boards, data exports and Microsoft Excel. 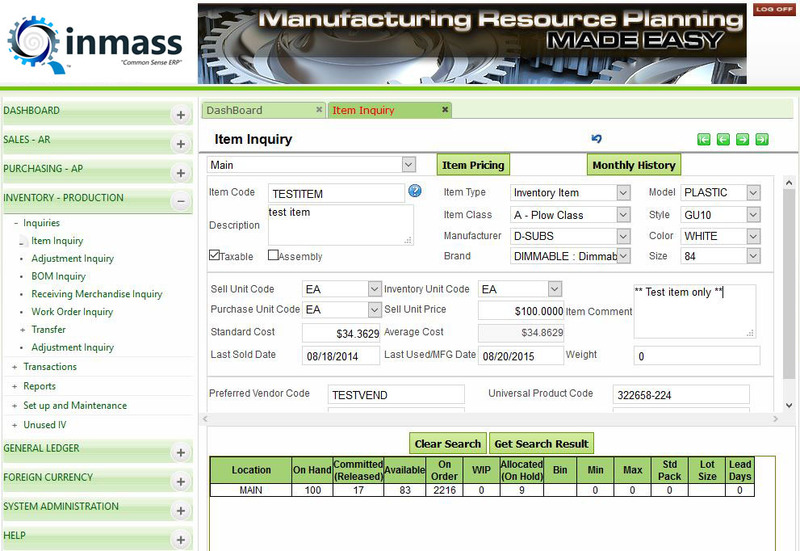 While the reporting engine is very robust, those wanting more can easily access the data.